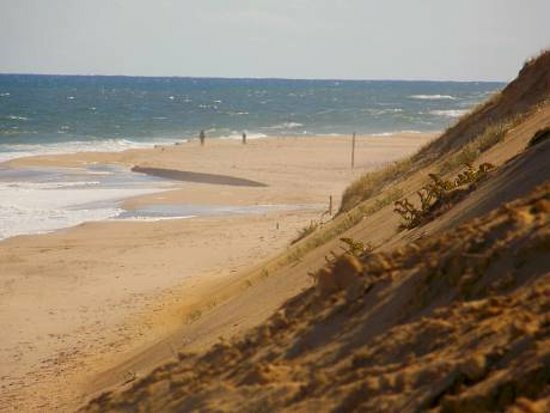 Located some seventy five miles out into the Atlantic ocean on the outer end of Cape Cod, the Town of Wellfleet offers an abundance of quaint rural sea-side character and charm. Bounded on the east by the ocean and the west by Cape Cod Bay, 61% of the land area of Wellfleet is in the Cape Cod National Seashore Park. During the summer, the population swells to an estimated 17,000 persons enjoying the town's miles of ocean and bay-side beaches; numerous beautiful, clear, spring-fed, ponds; many fine art galleries, shops and restaurants; and the magnificent The town is home of the Cape Cod National Seashore Headquarters as well as the 1,000 acre Massachusetts Audubon Society Wildlife Sanctuary. Some of Cape Cod's finest ocean surf-casting, fresh water pond and Cape Cod Bay boat fishing possibilities are found in Wellfleet, and the town is well-known for its plentiful supply of shellfish, including the famous "Wellfleet Oyster".